T-ara has won a Cyworld Digital Music Award for the second time in a row. 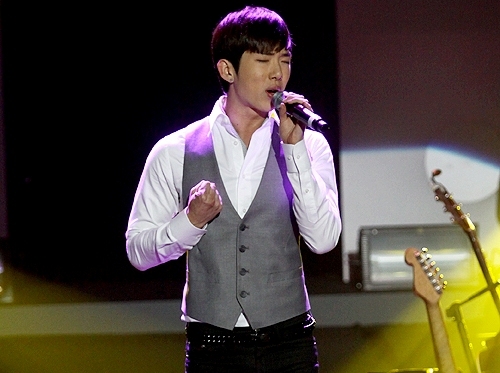 After winning for “Lies,” they won again for their newest song, TTL (Time to Love) with Supernova. During the last 38th Music Awards, they had won “Rookie of the Month” for “Lies” and now they have won the “ting’s Choice Artist” for “TTL” for the 39th awards. That’s two consecutive awards for the new girl group. The ting’s choice award is given to the artist that receives the most love in the month. It will be different the second time around though as they get to receive the award on stage with their good friends Supernova. Not just Cyworld, the song is also doing well on others charts like Nate, M.Net, Melon, Bugs, SoriBada, Dosirak, etc. With “TTL Listen 2,” they are expecting to receive much love from fans again. MBC ‘We Got Married’ will have 2 new couples added to the show for Chuseok special. According to the preview episode revealed on 26th September, the new couples will have their first meeting. SG Wannabe Lee SeokHoon and Kim NaYoung will meet again 1 month after their train vacation. Also there, the other new couple will be Brown Eyed Girls GaIn and 2AM member JoKwon. Originally, GaIn’s make-believe husband was 2PM Nich Khun but Jo Kwon was confirmed on the show instead.